It was August 1946. David Maxwell Fyfe had spent the past ten months in Nuremberg. He had led the British prosecution against those described as the major Nazi war criminals, had triumphed in his cross- examination of Goering and Ribbentrop, but had not yet had the opportunity to make a speech in court. 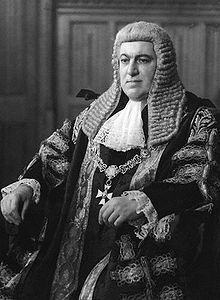 The opening and closing speeches for the UK at Nuremberg had been given by Hartley Shawcross, Attorney General in the post war Labour government. Fyfe had held the same role in the short-lived Conservative government that had taken over from the wartime coalition, and had chaired the London Conference that established the trials. But when the Conservatives were beaten he expected that his role in the prosecution would be at an end. Shawcross, however, needed to be at home to manage the Labour Party’s legislative programme, and had asked Fyfe to lead the team. Shawcross and Fyfe knew one another well despite their opposing political allegiances. Shawcross was Fyfe’s Junior in their Liverpool chambers as they both struck out on the Northern Circuit, the career choice of those with less privilege and less cash. And it was Shawcross who lent Fyfe money so that he could stand as a Member of Parliament. Shawcross’ adviser in writing his speeches for Nuremberg was Hersch Lauterpacht. Lauterpacht was a true international lawyer. He was born in a corner of Galicia which is often cited as the well spring of human rights. In 1946 he was Professor of International Law at Cambridge, but as a member of the British War Crimes Executive he spent time in Nuremberg preparing Shawcross speech and talking to many there, including Maxwell Fyfe. So it wasn’t until August 1946 that Maxwell Fyfe was at last given his chance to speak. Many of the leading players had already left the scene, because the prosecution had moved on from the individual defendants and were seeking to prove the guilt of the Nazi organisations, the SS. (list others) This tricky prosecution would have a great impact on the trials of the members of those organisations in the years ahead. After 10 months of forensic examination of Nazi atrocities, as Maxwell Fyfe in his speech strove to conjure what might be built on the foundations of the Nazi Armageddon, he was inspired by the Rupert Brooke sonnet, The Soldier. This was a poem of sacrifice and reverie. The sacrifice was real, as the multiple massacres between 1914 and 1945 held testimony. The reverie of ‘an English heaven’ though imagined was equally vivid. A place of peace, gentleness and laughter, touching a communal memory of an England of legend. There was never such an England, but the idea that England should stand for such qualities was immensely powerful. Maxwell Fyfe was a Scot. Recently discussing this reflection of England with another Scottish lawyer, a present judge at the Scottish Supreme Court, he assured me that he shared some of Maxwell Fyfe’s passion for Englishness. It is the passion of a foreigner, for in this respect the Scots are foreign – passionate, idealistic, reforming. Only the outsider can embrace the myth. The English themselves cannot see it – it is part of their reserved Englishness that for them the faults cloud the dream. Brooke himself was exceptional in being able to cast himself as an outsider in order to evoke and proclaim the English dream. Perhaps he had a foreboding of the 30 years to come, and the solace that would needed. Maxwell Fyfe’s ambition was not, I think, simply a statement of British greatness, though he had a healthy conceit of British capabilities and leadership – for he was in many respects a post –imperial politician unlike many of his colleagues. He yearned for the dream. On his return to London Winston Churchill asked Maxwell Fyfe to join the European Movement. At the first meeting in The Hague he joined the cultural committee that was discussing Human Rights. After this the Movement established a judicial committee, to which Maxwell Fyfe acted as rapporteur. It was in this role he prepared a draft Convention on Human Rights, working closely once more with Lauterpacht. He was nominated as a delegate to the Parliamentary Assembly in Strasbourg, which was established as a consultative body alongside the Council of Ministers, which met for the first time in 1949. Once there he was elected chairman of the legal committee, to which human rights was referred. The committee championed the convention and the establishment of the court and won unanimous support in the Assembly. The Assembly harried the Council of Ministers, who were reticent to accept this bottom-up legislation, but who, after significant consultation, finally signed a convention on this day in 1950 at the Palazzo Barbarini in Rome. Of course I realise that for political reasons we must – in some form or other – accept this draft Convention. At the same time I feel bound to state that from the point of view of the administration of the law I regard this necessity as an unqualified misfortune. Our unhappy legal experts – (two distinguished Home Office officials) – who would have expressed their complete inability to draft a Bill (for example) to prevent the docking and nicking of horses – have had to do their best to draw up a code compared to which the Code Napolean – or indeed the 10 commandments – are comparatively insignificant. The difficulty of course is that human lawyers are not the creators but only the interpreters or codifiers of these fundamental human rights. Opinions differ widely as to their precise definitions. The Convention has fed 60 years of public debate about conflicting and emergent rights, many of which would have astonished the authors. And that is what they had intended. It can be argued that the Convention was made in Gray’s Inn as Shawcross, Lauterpacht and Maxwell Fyfe were all barristers there. The Human Rights Lawyers association is holding a celebration of the signing of the Convention later this month.